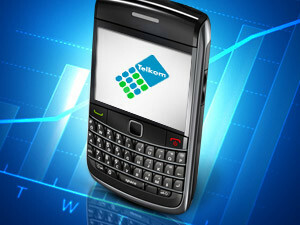 Telkom says its new product flies in the face of years of mobile industry tradition. Telkom has announced a complete overhaul of its mobile product offering with the launch of what it calls a "ground-breaking FreeMe product". The new product is all about data and Telkom says it "flies in the face of years of mobile industry tradition, where customers had to navigate confusing contracts, seemingly endless terms and conditions (Ts&Cs), high peak rates and pricey extras". "Telkom FreeMe offers our customers smartphone plans that liberate them from everything they've ever hated about their network. Data has become the central requirement for most smartphone users, so that is what we have prioritised," says Telkom consumer CEO, Attila Vitai. Starting from 25 July, customers will choose the amount of data they want from a simple plan, available in six data sizes. "We are driving a value revolution with free texts, free high quality IM [instant message] calls, free calls to Telkom Mobile and Telkom Fixed Line numbers and free Wi-Fi across all six plans, and on our two top end products, free calls to any network as well," says Vitai. The operator has zero rated calls over WhatsApp, Viber and BlackBerry BBM as well as providing customers free access at 6 000 WiFi hotspots. "We have reviewed our spectrum capacity to allocate it more efficiently to achieve greater coverage and deliver faster data speeds and ultimately drive over-the-top services. This has allowed us to bypass the interconnection fees charged by other networks to offer our customers true value innovation," Telkom says. The top two new data packages, 20GB and Unlimited data, are priced at R599 and R999 respectively. They include free calls to any network, free text messages and free Wi-Fi. The remaining four packages are priced between R99 and R399. These all include free texts, free IM calls and free calls to Telkom Mobile and Telkom fixed numbers. The smallest data package offers 1GB of data and includes free WhatsApp calls, free on-net calls (to Telkom mobile phone and landlines), free texts and free Wi-Fi, priced at just R99 a month. Soon Telkom customers will also be able to complete their FreeMe orders online in just fifteen minutes with next day delivery in metropolitan areas and within two to three days in other areas. "Everything will be easier and more affordable in ways that weren't possible before," Vitai concludes.